Back in engineering school, I took plenty of computer programming courses. Coding was one of those topics in school that I really enjoyed. It was super cool to use logic and a series of symbols to create a desired outcomeor goal. 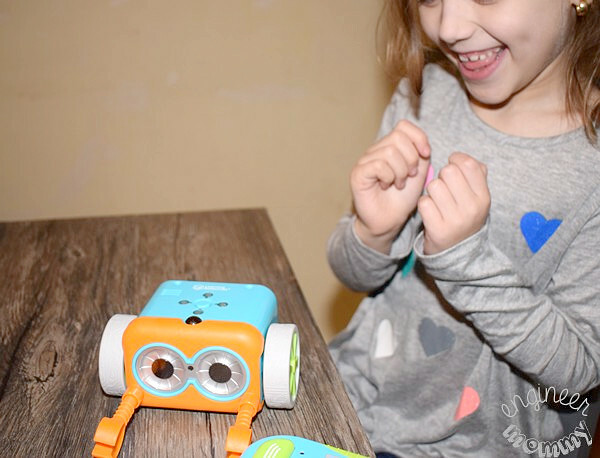 So when my daughters recently had the opportunity to check out the 77-piece Botley® the Coding Robot Activity Set from Learning Resources, I was thrilled. Schools throughout the country have been putting a lot of emphasis on STEM subjects (science, technology, engineering, math) recently. In fact, according to research conducted by Learning Resources, 70% of parents believe that kids should learn basic coding by the age of 5. 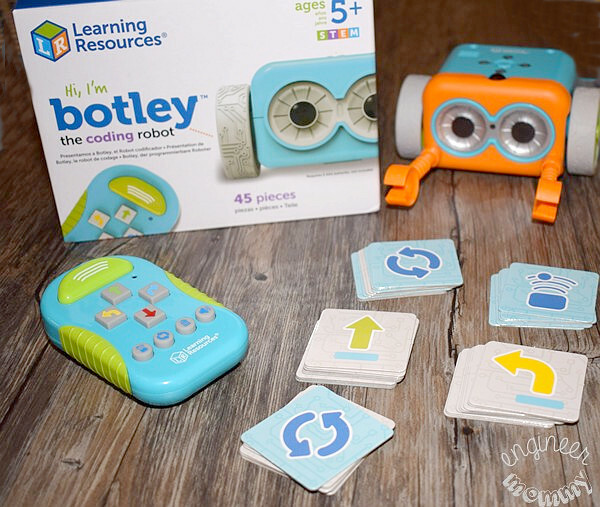 Botley is a fun, friendly way to learn coding! What is coding? It is the language used to communicate with computers. 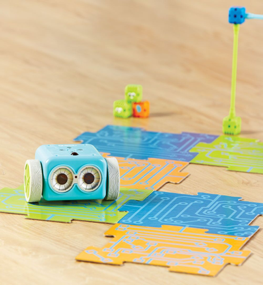 Botley the Coding Robot Activity Set comes with everything needed to get started right away. 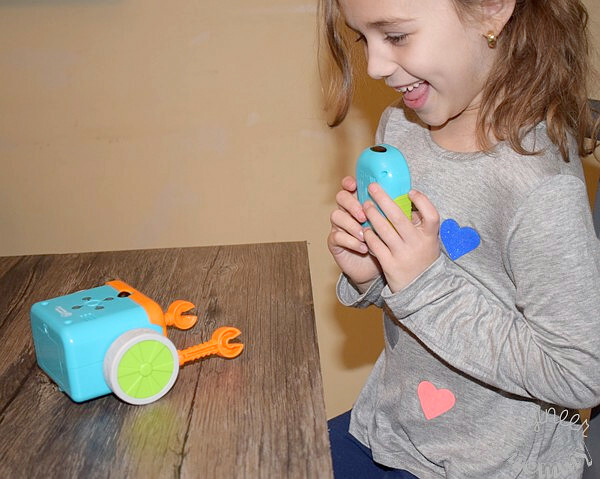 The included remote programmer lets the child write codes and then transmit them to the Robot. It even comes with a set of coding cards to keep track of longer sequences of codes. 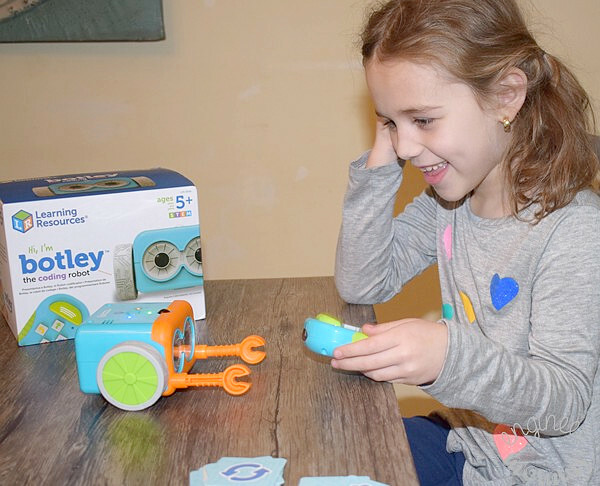 Botley allows children as young as age 5 to take their first step into coding. While the activities can be tailored to kids as young as 5, they can also be advanced for older kids, too. I really love that Botley is entirely screen-free and parent friendly! It teaches basic coding concepts, advanced coding concepts, critical thinking and spatial concepts. My daughter’s favorite thing to do was to write a basic code and then watch the robot GO! There’s something so exciting about watching the robot follow a programming code that you created! By the way, Botley is ready to use right out of the box. Also, there are multiple secret, hidden features for your child to discover. So I see hours and hours of fun with this toy. In addition to moving forward, moving backward, turning right, and turning left, you can also program the robot to perform object detection and do coding loops. Black Line Following was another super fun activity. 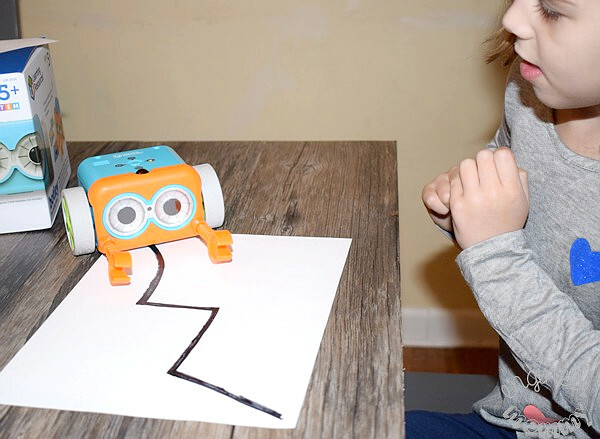 You can draw a black line in any shape or form and place the robot on top (in “LINE” mode). The robot will follow the line. *Tip: Just make sure the line is thick enough and the black line is on white paper. 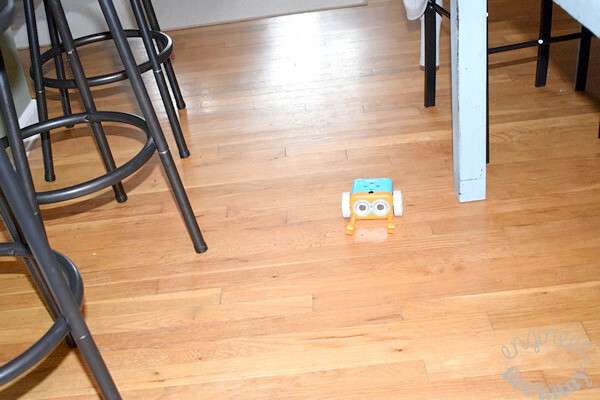 When we put Botley right on the floor, we were able to program him to perform longer, more complicated routines. We really had a wonderful time exploring and playing with Botley. The manufacturer of Botley is Learning Resources, which is a global manufacturer of hands-on educational products. 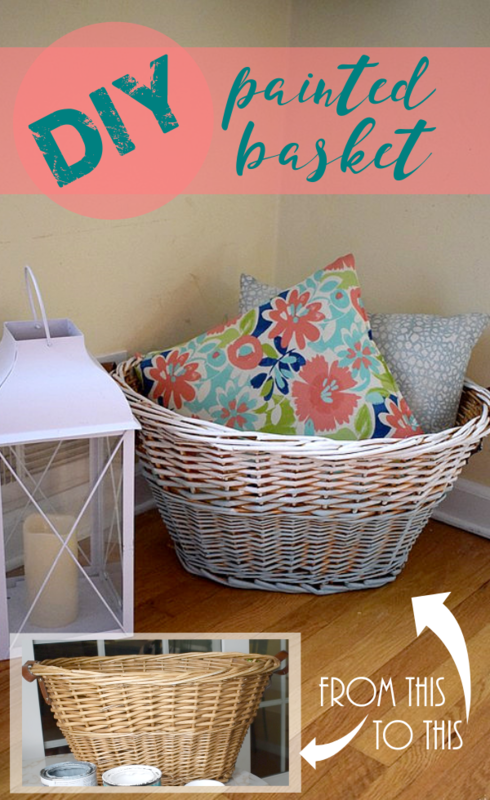 Have you ever checked out Botley? Does your child have an interest in STEM subjects? My youngest son is SO into coding, so he would love this. I am going to have to look into getting this for him!! My grandson took a class on coding and fell in love with it. I know he would love Botley! He has a birthday coming up soon and I think this would be the perfect gift. Oh my goodness, what a fun way to get kids to learn. My granddaughters birthday is coming up on Feb 2, and I’ve been trying to figure out what to get her. You’ve just solved that problem. She’s ADHD so we try a lot of STEM products out on her. This is so neat! I’ll have to pick this up for my daughter. I’m sure she’d have so much fun with it. My kids are all about STEM. Their schools begin STEM at the preschool level and incorporate STEM into pretty much every lesson and I love it. It helps them with their core curriculum but also helps them develop cognitive learning skills and promotes creativity. This will be something fun to get my kiddo. Coding is going to be such a big thing of the future that I want my son to learn all about it. I think it can only help him in the future. What a great concept. How cool that kids can start learning about coding so early! I would love to check this out for my kids and get them started with coding. Oh my goodness how much fun does this look, I love how coding can so easily be picked up and taught to kids these days. I think this is awesome! I have a computer science degree and wish this would have been available to me as a child. It looks so fun! I love that there are so many ways to get kids involved with coding from such a young age. It’s an important skill to have for sure! My son would love this Coding for Kids! Love that they are creating teachable activities to teach kids about coding. Botley is such a cool looking toy. It sounds so important to introduce kids to STEM and to make it fun. Coding would be a good skill to learn at a young age. This can really help them going forward and they made learning a lot of fun too. I am not really good with coding and that is something I want my kids to be good at. The school they attend to doesn’t teach that though. I love these kind of toys and games for children. It teaches them some amazing skills and makes them feel accomplished. Very nice learning tools for the kids. I think it’s a lovely choice for gifts as well. They’re going to have so much fun while learning. I think these types of educational games are so cool! They definitely didn’t have this when i was kid. I like toys like these. 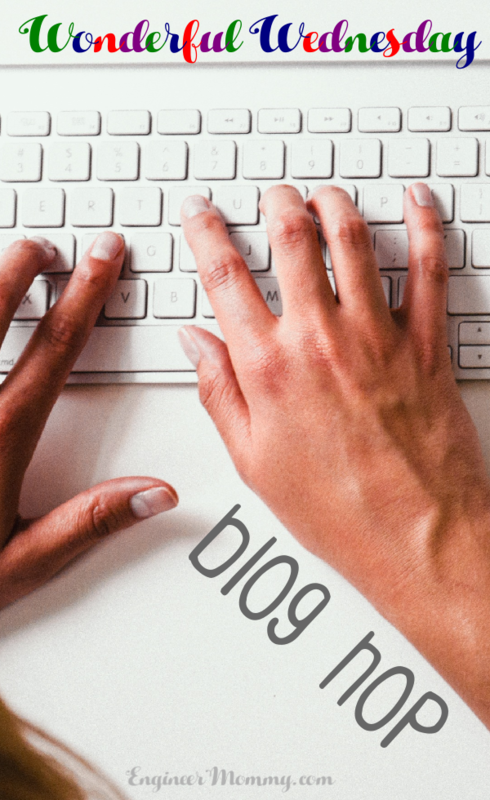 It gives kids a better learning experience that is in tune with the current technology trends. Guarantees hours of fun too! Coding is something that scared the me at school but the dude loves it and can not stop talking about it. Hope our kiddies pick it up from him too.